Students are notoriously known for always being cash strapped, with little to their name before they complete their studies. Finding the money for necessities as well as entertainment can be tough. Buying a car, buying groceries and paying for tuition can be tough when you only have a few spare hours to work for a small paycheck. This whole situation can become overwhelming, but it doesn’t have to be because you can always apply for a personal loan to help you through. 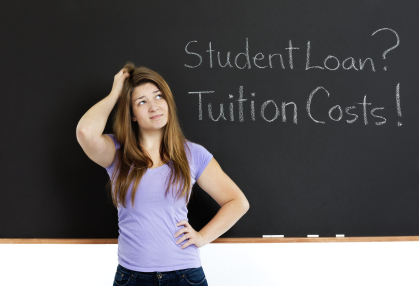 The question is: How can you apply for a personal loan when you are still a student? This is the very first thing to do before you can apply for a personal loan. You will need to contact a credit bureau who can provide you with all the right information. The National Credit Act entitles South Africans to a single free report per year. You can obtain this report from any registered credit bureau or even online. This report will show your credit rating and a history of your credit debt. It’s important to address any inaccuracies before proceeding with your loan application. You will need particular documents ready to apply for a loan. These include your valid South African ID Document or ID Card, proof of your residential address as well as your last three months’ payslips or bank statements. If you don’t currently work and live with a parent or guardian, you could have them stand as surety for you and provide their payslips. This means that they will be responsible for the repayments if you can’t pay. Using an affordability calculator, determine the amount of money you will need. Assess what the repayment installments will be and if you can afford them. If you already have a student loan, chances are it only covered your tuition and textbooks. This doesn’t cover any stationery and or day-to-day items you need. A personal loan can cover these expenses. If you want to buy a car using the loan, use a calculator designed for car retail values. This shows the bank that you have prepared well and will reflect well on your application. Do your homework and shop around. You want to find a loan that will suit your needs and your budget. Pay attention to interest rates, loan terms, and any other fees, then determine whether or not you’ll be able to repay the loan. You can even request quotes from a few different banks. This will help you to rule out any institutions that may not be willing to offer you a loan as well as which have higher interest rates and initiation fees. Some banks will not accept your application if you don’t have some form of income to back you up. If you have either a bad credit history or none at all, you will need to have a co-signer for your loan. To be approved for a loan when you don’t fully qualify, you will need someone else to co-sign the application to reduce your risk profile. They will then take responsibility for the loan installments if you are not able to make the repayments. Since it is such a big undertaking and a serious decision, you need to be realistic about what you are asking for and whether it’s really necessary for you to apply in the first place. Don’t expect your loan to be approved if you have no employment history and a bad credit rating. Some alternative options include secured loans or an open savings account.